I have something to confess; I have an addiction. An addiction to Untappd! 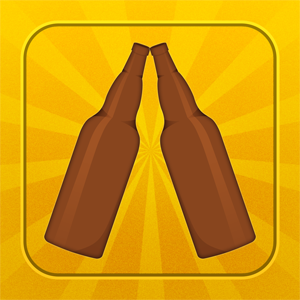 For those who don't know it's a website and phone app where you check-in beers and earn badges by completely drinking objectives (responsibly of course!). At first I was thinking this would be a bit of a chore and I'd hardly ever use it. 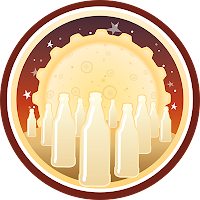 Since these initial thoughts I've checked in over 450 unique beers and earned myself 93 badges, and now I can't have a beer without checking it in! I thought I'd start here with a little truncated review of the beer that just earned me 2 Untappd badges; Firestone Double Barrel Ale or DBA for short. I bought this beer just after I came back from Europe on my first beer run and only realized today that I could finally achieve the HopCast badge that I have been looking to complete for month's! 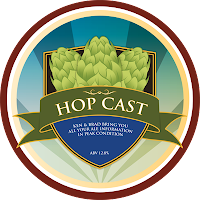 Today I finally checked the HopCast account again to see if I had 2 of the beers they had had in the last month to finally tick off this badge. Thankfully I finally did! My slightly skunky can of Schlitz got a run first and it was awful, before the Firestone DBA stepped in. It was better than a slightly skunky can of cheap U.S. lager, but not alot. I may be being a tad facetious, but I really don't get why anyone would make an English Pale Ale, they just don't do it for me at all! It's very malty with little to no hop character at all. The mouthfeel is almost creamy and makes it quite hard to drink. The other thing that surprised me was that not only did I achieve the HopCast badge, which I was expecting, but also my Pale As The Moon (Level 10). This is currently the top level for the style badges and basically means that I've checked in 50 unique Pale Ales. For those who want to follow me on Untappd feel free, just search for Gus Norris (my username is Noz, which is too short to search for on Untappd). I'd love to have more of you come along for the journey on Untappd as well as on the blog. Keep reading and sending your ideas and questions through at gus.norris7@gmail.com. Yay! I friend'd you on untappd- my first friend. I just dove into the gamified beer drinking pool and have yet to get swimming.